B and I decided to try a new one this weekend. Imbibe Magazine tweeted about an old cocktail named Tipperary in honor of St. Patrick’s day. We are a little late on that one as it’s now Easter, but since B loves Irish whiskey, this seemed the one to try. Imbibe gives credit for this one to ABC of Mixing Cocktails by Harry McElhone, which dates from around 1922. 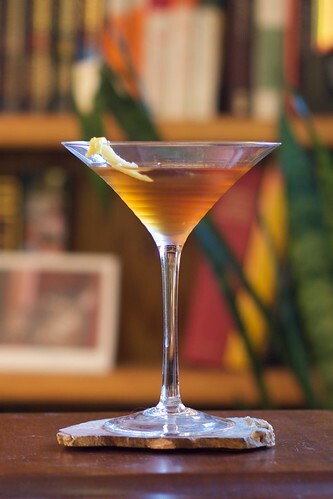 According to an article in the San Francisco Chronicle, the original version comes from a 1916 book called Recipes for Mixed Drinks by Hugo R. Ensslin whoe was a bartender at New York’s Wallick Hotel. The chief difference between the two versions is that the original called for equal parts Irish whiskey, sweet vermouth and Green Chartreuse. 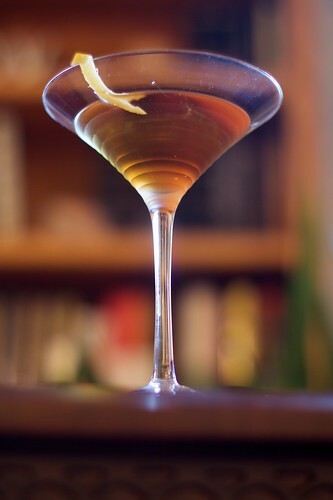 The Imbibe version (which is what we made) is even a little lighter on the sweet vermouth than the McElhone version. Combine ingredients in an ice-filled mixing glass and stir. Strain into a chilled glass and garnish with a lemon twist. This is one of those that make you happy to have tried something new. Both B and I really like this one. It’s old, it’s obscure, and it’s good. What’s not to like.